KUALA LUMPUR: Dignity for Children Foundation (DFCF), a Kuala Lumpur-based educational NGO, which has been educating and training urban poor children and young refugees in the Malaysian capital has inaugurated its first wholly-owned and privately-held learning centre, and named it ‘The Big Heart’. SIARA was launched by His Highness Sheikh Dr. Sultan bin Mohamed Al Qasimi, Supreme Council Member and Ruler of Sharjah, and his wife, Her Highness Sheikha Jawaher bint Mohammed Al Qasimi, Chairperson of TBHF and UNHCR Eminent Advocate for Refugee Children, three years ago to recognise outstanding efforts and initiatives that improve the lives of millions of individuals and families who have been displaced from their homes due to a natural disaster or war in Asia and MENA region. The Sharjah Ruler also donated an additional USD1 million to Dignity Foundation at the SIARA awarding ceremony last year, to boost their pioneering efforts in offering quality education and vocational training to hundreds of underprivileged families in the Sentul area and beyond to break the cycle of poverty and build respectable lives for themselves. The building features six classrooms for up to 95 high school students in the 16-18 years age group, and is part of the learning centre, which already caters to 1,751 students. It also includes the main offices, the school restaurant, a bakery and meeting rooms. “According to the UNHCR, there are more than 163,000 refugees in Malaysia, including 43,000 children. All these children need a solid education, if they were to have a future of dignity and success. Her Highness Sheikha Jawaher Al Qasimi has always believed that supporting refugees and building a better future for them starts with a good education – an ambition we are furthering through our support to Dignity. This new achievement highlights Sharjah’s growing international humanitarian role, as a centre for education, in line with its designation as Cultural Capital of the UAE,” Hammadi added. For his part, Elisha Satvinder, Co-founder and Chairman of Dignity for Children Foundation, expressed his appreciation to the Sharjah Ruler and Her Highness Sheikha Jawaher, Wife of His Highness, as well as TBHF, for their resolute support to humanitarian initiatives, globally. The inaugural ceremony organised by Dignity Foundation was attended by a TBHF volunteering delegation comprising senior officials and a host of 23 young volunteers from the emirate’s youth entities like FUNN, Sharjah Girl Guides (SGG), Sajaya Young Ladies of Sharjah, Sharjah Youth, Sharjah Police Headquarters and Victoria International School. Dignity for Children Foundation is a charity organisation established in 1998 by Elisha Satvinder and his wife Petrina, after discovering many underprivileged families in the Sentul area, Malaysia. It began to reach out to the community through home improvement services, grocery distribution, arrangement of free medical check-ups, to name a few. Believing that quality education is the key to breaking the cycle of poverty, they consolidated their efforts by focusing solely on education to attract students of all ages to their tuition classes. Many DFCF graduates have received private scholarships for their postgraduate studies, and some have joined the UNHCR as translators or developmental workers in their local communities. IPOH, Oct 6 — The government is planning to recruit experts from India and Ukraine to train the trainers of the Technical Vocational Education and Training (TVET) programme, said Human Resources Minister M. Kulasegaran. Speaking to reporters at the Job Fair at Urban Transformation Centre (UTC) 5.0 here, Kulasegaran said many TVET institutions need to be upgraded, adding that government-to-government approaches would best address this. “I will be heading to India tomorrow as Prime Minister Tun Dr Mahathir Mohamad instructed me to visit and discuss with the TVET programme in India. “India has some world experts on aviation, metro techniques, technical matters, artificial intelligence and a few more. We want to bring them here and train our trainers as a collaboration between the two countries,” he said. Kulasegaran said that he was made to understand that over a million people benefited from India’s vocational training. He will also visit next month due to the sophistication of their vocational programme. “The importance of human development cannot be more emphasised than in Ukraine. Their education ministry is only at a regional level, while their TVET programme is at a national level and one of the best-run programmes in the whole world,” he said. He said that this approach would reduce employers’ dependency on skilled foreign workers. “When the trainers are equipped with knowledge and experience from experts, they can train the students well and it would allow the students to get accredited certificates. 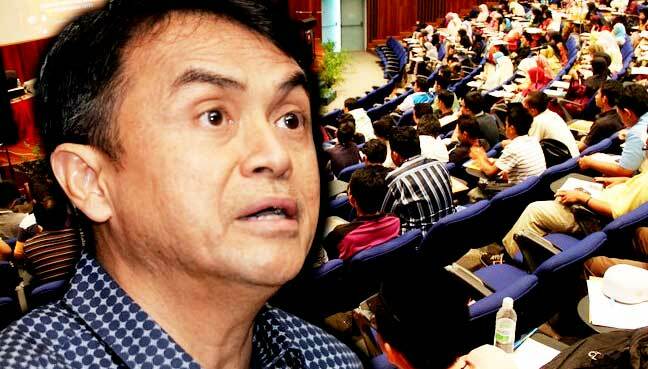 “So companies do not have to depend on foreign workers and the students who complete the programme can earn a better wage,” he said. Kulasegaran also urged employees to take up the courses in the TVET programme to upgrade their skills. “The TVET programme is not only for school leavers. Workers are also eligible to join the programme. Most of the companies are willing to raise the wage provided that the workers have accredited certificates,” he said. He also said that the ministry is willing to provide financial aid for the workers who wanted to join the TVET programme. Souvenir: President of MCCC, Tan Yew Sing (second from right) presents a souvenir that incorporates three major ethnic cultures in Malaysia to the Ambassador, H.E. Bai Tian (center). Kuala Lumpur: The Ambassador Extraordinary and Plenipotentiary of the People’s Republic of China to Malaysia, H.E. Bai Tian, disclosed that the China Construction Bank (Malaysia) Berhad recently purchased RM200million Malaysian Islamic Bond to support our new government. The Ambassador said that the Chinese government places importance on the relations between Malaysia and China. When the new government tries to solve the debt problem, the purchase of government bonds is a support for Malaysia. The Ambassador expressed the above remarks when he met the delegation led by the President of Malaysia-China Chamber of Commerce (MCCC), Tan Yew Sing last Friday. Tan briefed the Ambassador on the major activities and plans of MCCC. Both sides also exchanged views on the recent challenges and development trends of the economic and trade co-operation between Malaysia and China. The Ambassador pointed out that the Chinese government has three prerequisites for Chinese-funded enterprises when they invest overseas: to abide by the relevant laws and regulations of Malaysia and China, comply with internationally accepted commercial guidelines and the contract, and adhere to the principle of equality, mutual benefit, and win-win co-operation. The Ambassador said frankly that the Chinese government opposes any company’s improper behaviour. If the Malaysian government needs the assistance of the embassy, he will be happy to co-operate. Bai stressed that the negative rumours brought by the recent 1Malaysia Development Berhad (1MDB) project to the Chinese companies were only one or two cases. The views of the parties concerned on the pragmatic cooperation between Malaysia and China should not be blinded. Speaking about the East Coast Rail Link (ECRL) Project, Tan said that it is understandable the new government needs to review the rationality of this project. However, this does not mean that Malaysia is against China. The governments of both sides should negotiate it at the “nation-to-nation” level based on long-standing friendly relations. In order to achieve a win-win situation, it is indeed necessary to review the project pricing, construction time, project scale and even the construction methods. The Ambassador pointed out that there are more than 100 state-owned and private enterprises that are currently investing or operating in Malaysia. These Chinese enterprises hire more than 70% employees on average, and the ratio of local employees in many companies is as high as 80% or even 90%. All of these are to achieve better technology transfer in the co-operation between the two countries and lay a solid foundation for Malaysia’s industrial upgrading. There are also some Chinese-funded enterprises that have sent local Malay employees to Chinese corporate headquarters or higher education institutions or vocational colleges for vocational training. In order to cater to the needs of Malay technical workers attending the training in China, the Chinese companies provided them with facilities such as a halal cafeteria and prayer room. Tan stressed that in order to promote the skills of our country’s manpower and link with China’s advanced industries as soon as possible, it is necessary for Malaysia and China to start from the vocational education co-operation in order to cultivate a new generation of high-quality skilled workers who are familiar with the economic conditions and technologies of the two countries. Malaysia, which is booming, is in great need of China’s technology, R&D resources and capital assistance. Both sides urge the Chinese companies to continue to invest in Malaysia and co-operate with the local business community for a win-win situation. The Ambassador pointed out that the data of a large number of local employees hired by the Chinese enterprises will eventually scotch the rumours about china threat. Bai added that certain areas required the employees from China because of the lack of local employees with relevant skills. It is hard to find local technical staff at this stage for specific types of Chinese-funded jobs. For example, TRX Exchange 106 has a full floor completed in every three days. At the top of the building, they are doing two-day cycles on the concrete floor slabs. In addition to proper planning, these achievements and engineering efficiencies must be backed up by skilled technical work. At present, in line with the Belt and Road Initiative (BRI), China has launched 13 international scholarships. There are more than 20 provincial and municipal government scholarships and 20,000 Belt and Road scholarship for overseas students including Malaysia to cultivate China’s soft power. Their target is to have 500,000 international students in 2020. According to statistics, there are more than 8,000 Malaysian students studying in China and more than 15,000 Chinese students studying in Malaysia. The Ambassador places great importance on the economic and trade relations between Malaysia and China. He elucidates the economic and industrial contribution of Chinese enterprises to Malaysia. “Like China’s first-tier manufacturing companies, Jinko Solar and JA Solar Holdings, assisted Malaysia to become an important international producer of solar energy. The CRRC Corporation Limited (CRRC) has a manufacturing plant in Batu Gajah and this has also made Malaysia the most advanced rail transit vehicle manufacturer in ASEAN,” Bai explained. Recalling that in 2017, the bilateral trade volume between Malaysia and China reached USD96billion, and China has become Malaysia’s largest trading partner for nine consecutive years. “Last year, the trade volume has not yet recovered to more than USD100billion but the first quarter of this year has an increase of 15.6%. We have begun to see a good momentum of growth. We are confident that this year’s bilateral trade volume will exceed USD100billion,” Bai said. Last year, the volume of export from Malaysia to China amounted to USD54billion, accounting for one fourth of Malaysia’s total USD200billion in export. Last year, China was also the largest source of foreign direct investment in Malaysian manufacturing sector. The Ambassador revealed that he had recently met the new Minister of Agriculture and Agro-based Industry, YB Salahuddin Ayub. They talked about exporting fresh durian to China (currently only export frozen flesh). “After I took office, I started to promote the export of Malaysia durian to China. There have been major positive developments in this work recently. I believe there will be good news soon,” Bai believed. Earlier, Thailand’s Golden Pillow Durian was sold on the Tmall’s “Taste of Thailand” page. It sold more than 80,000 orders in the first minute, causing a stir. The Ambassador felt that the durians from Malaysia were more delicious, especially the Musang King Durian. They are very popular in the Chinese market and there will be a bigger market in the future. Finally, the Ambassador Bai highly affirmed the significant contribution made by the MCCC in promoting the friendship, economic and trade relations between the two countries, and in particular the annual event of MCCC—Malaysia-China Entrepreneur Conference (MCEC). The Ambassador also praised MCCC for publishing the “Malaysia-China Trade and Investment Guide 2017”, organising the “Invest in China” and “Invest in Malaysia” workshops and bringing local entrepreneurs to China to participate in large-scale expos. The other leaders of the MCCC who participated in this visit were the First Vice President, Loo Kok Seong, Vice President, Kerk Loong Sing, and Secretary-General, Kevin Siah. This will affect government’s plans to develop a skilled workforce, says minister Kulasegaran. Human Resources Minister M Kulasegaran says financial constraints were believed to be the cause of the declining student enrolment. SHAH ALAM: Human Resources Minister M Kulasegaran has expressed concern over the 30% drop in student enrolment into various skills training institutes over the past two years. He said the declining number was alarming as such a scenario would damper the government’s aspiration to make Malaysia a highly-skilled nation if this trend continued to persist. Kulasegaran said although the country had been having many technical and vocational education training (TVET) colleges, financial constraints were believed to be the cause for the declining student enrolment. “The drop in student enrolment needs to be looked into thoroughly and I will raise this issue in the Cabinet meeting soon because we want to produce highly-skilled workers and empower them,” he told reporters after opening the Tamil Foundation Malaysia’s annual general meeting here today. Meanwhile, Kulasegaran said his ministry was now reviewing the current minimum wage policy to give priority to the rights of Malaysians in the employment sector. He said details of the policy would be announced on Monday. On the programme today, the Ipoh Barat MP said the government would continue to empower the Indian community, including bringing transformation to the work sector dominated by the ethnic group. “I was directed by Prime Minister Tun Dr Mahathir Mohamad to come out with drafts of various programmes to improve the skills of the Indians and all races in the future. “There is a special segment for the development of the Indian community mentioned in the Pakatan Harapan manifesto which covers various aspects. We will work on it. “In fact, the Indian Community Development Blueprint of the previous administration would be examined. “We will implement (the plan) if it is beneficial for the targeted groups,” he said. (Standing, from left) NCOW co-chairmann Datuk Ramani Gurusamy, L’Oreal Malaysia senior corporate communications executive Susan Koh, YWCA president Joanne Yeoh, VTOC chairman June Yeoh (standing, second from right) and Loh (standing right) with the graduates. Twenty-one Malaysian women from underprivileged backgrounds are now certified hairdressers and make-up artists, after completing the 12-month L’Oreal Malaysia’s Beauty For A Better Life programme. They graduated at a lively ceremony held at the Vocational Training Opportunity Center (VTOC), witnessed by their proud instructors and family members. At the event, the graduating class of 2017 put together a graduation hair and makeup show, showcasing their skills by presenting three different looks – Glamour, Romantic and Rock. The L’Oreal Foundation launched Beauty For A Better Life worldwide, extending a helping hand to young, disadvantaged women in more than 20 countries from Latin America, Asia and the Middle East, Africa and Europe. Ten women successfully graduated from the programme last year, and three of them secured a job at Centro Hair Salon in The Gardens Mall, Kuala Lumpur, immediately after completing the training. This year, L’Oreal Malaysia expanded the programme to include a new category, Beauty Care to give participants skills and knowledge required for the make-up industry. The programme encompasses six months of comprehensive training that includes courses on makeup, bridal and nails. Graduates of the programme also get the chance to intern at leading cosmetic stores such as Shu Uemura, Urban Decay and YSL Beauty, allowing them to gain first-hand experience. L’Oréal Malaysia corporate communications director Jean Loh said, “Last year, we had 12 girls who graduated as certified hairdressers through Beauty For A Better Life. “This year, with the introduction of the Beauty Care programme, we are immensely proud to see 21 young women graduates. “In line with our company’s credo, L’Oreal Malaysia believes that regardless of their background or financial ability, these girls should be given equal opportunity to obtain the skills and tools needed to integrate themselves into society. “By helping them achieve the first step of acquiring knowledge, we can give back to the community and encourage these ambitious young women to make a difference in their own lives,” said Loh. The L’Oreal Malaysia’s Beauty For A Better Life programme was made possible through a partnership with the National Council of Women’s Organization (NCWO) and the VTOC by YWCA. As a leading advocate of women’s rights, NCWO unites women’s organisations to respect, protect and fulfil human rights, promote the development and advancement of women at all levels, advocate and monitor the full participation, inclusion and representation of all women in decision-making, as well as ensure equitable access for women as agents and beneficiaries in national development. VTOC, a project of YWCA Kuala Lumpur, provides vocational training for employment to young women and girls from economically-disadvantaged segments of Malaysian society. Since its inception in 1998, a total of 1,524 young women have benefited from its courses. More scholarships offered to academic staff and students from the region. TAIWAN’S NEW “Southbound” policy will mean more educational opportunities for people from all Asean countries, including Thailand. “In line with the policy, our government will offer more scholarships for academic staff and students from Southeast Asian nations to boost the development of the region’s human resource,” said Taiwanese Education Minister Pan Wen-chung. Fifteen scholarships are being granted via the Thai Ministry of Education, which is also covering Bt20,000 personal expenses per month for Masters Degree students and Bt15,000 for undergraduate students besides a Bt40,000 contribution towards the tuition fees. Taiwan would expand its foreign student quota, particularly for those from Asean countries, in the academic year 2018, he added. In 2016, Taiwan granted 193 scholarships for undergraduates from Asean countries. while also giving a further 984 language learning scholarships and 100 scholarships for lecturers from these countries. In that same period, Taiwan had 12,000 students from Malaysia, 5,000 students from Indonesia, 4,700 students from Vietnam and 1,700 students from Thailand. The ministry expected the number of Asean students to rise in future. Besides scholarships, Taiwan also offered human resources training for Asean countries on various subjects, including academic, industry, vocational promotion or executives’ business administration, Pan said. “What Taiwan wants is to pass on its experience and knowledge to Asean countries,” Pan said, adding that Taiwan was looking at hiking Taiwan-Asean investments in education to a value of Bt1 billion. President Tsai Ing-wen administration’s “new southbound policy”, which came from a proposal by the Democratic Progressive Party (DPP), was clear that a priority should be to strengthen ties with Southeast Asian nations and India, as well as Australia and New Zealand. As some critics feared this policy might not last long if Taiwan’s opposition Nationalist Party, also known as Kuomintang, won power, Pan affirmed the policy would remain as it concerned education. This policy was also useful to Taiwan, he said citing the increase in the number of visitors from Southeast Asia to Taiwan, which is safe and friendly to visitors. Taiwan’s capital Taipei is home to 100,000 foreign partners and children of Taiwanese nationals. The biggest immigrant group is Vietnamese, followed by Indonesian, Myanmar and Thai. To help educate them in their original languages the ministry would add Asean language courses in primary schools, Pan said. Starting in 2019, every primary school in Taiwan will include seven Asean languages as elective subjects: Thai, Vietnamese, Malaysian, Burman, Indonesian, Cambodian and Filipino. Besides the private businesses in Taiwan those in the wooden furniture industry also want to invite Asean people for training in furniture design and related technology. “Many Taiwanese have invested in Southeast Asia. We have capital and technology but we don’t have the raw materials. So we are ready and willing to train new people if the government can promote this as an educational scheme under the new southbound policy,” said Mauson Industrial Co’s general manager Hsu Michael. Jason Huang, director of the Taiwan Woodworking Machinery Association in Taichung City, said businesspeople were ready to train Asean people as many had already invested in the region. The association has supported an industrial-academic cooperation training programme in furniture and carpentry at National Taipei University of Technology and next year, 40 Vietnamese students will undergo one-year vocational training course there. At National Formosa University, a well-known technical institute in Huwei District, Yunlin County, study programmes in engineering and technology are popular among students from Southeast Asia. Most of the foreign students were Chinese Malaysians who were studying undergraduate programmes as the university . One lecturer, Assistant Professor Arnold Wang, said 18 Malaysian students were studying a programme comprising eight months of teaching classes and four months of internship. Two of these students would be awarded full tuition coverage based on highest grade averages. The university also wants to introduce courses at Malaysian institutes with a high population of Chinese Malaysian students, such as Taylor’s University Subang Jaya in the Malaysian State of Selangor. A Malaysian student identified only as Daniel said he chose to study at Formosa due to its prestigious mechanical engineering courses and the opportunity of internship at a real workplace. He said being taught in the Chinese language posed no difficulty to him and although it was more expensive than studying in Malaysia, Daniel said it was worth it. Another student, Chan Kwan Chen from the Malaysian State of Kedah, agreed, saying that studying in Taiwan offered new opportunities and experiences compared with studying in his home country. Having some relatives in Thailand, the young man said he knew too little about Thai institutes and hoped to learn more. Amanah Youth deputy chief Faiz Fadzil says Pakatan Harapan Youth will create a million semi-skilled and skilled jobs, and a million affordable houses when it takes over the federal government. – The Malaysian Insight pic by Zainal Abd Halim, July 25, 2017. PAKATAN Harapan (PH) Youth will make job opportunities and affordable housing a priority in its manifesto for the upcoming 14th general election. These include creating a million semi-skilled and skilled jobs, and a million affordable houses if the opposition coalition takes over Putrajaya. Amanah Youth deputy chief Faiz Fadzil said jobs can be created in the 3D (dirty, difficult, dangerous) sector merely by raising the minimum wage from RM1,000 to RM1,500. Faiz also dismissed Deputy Prime Minister Ahmad Zahid Hamidi’s assertion that youths are uninterested in 3D jobs, which caused employers to hire foreign labour to fill such positions. “We will create skilled and semi-skilled jobs for graduates who qualify. “We will also raise labour wages so interested locals will take up 3D jobs. Zahid said Malaysians were not interested in 3D jobs. I think that statement is unfounded,” he told a press conference at Amanah headquarters in Kuala Lumpur today. He said the RM500 raise would be jointly funded by the government and employers using a fair cost-sharing mechanism, and the plan would be implemented within the first five years of a PH administration. PH Youth also aimed to provide a million affordable homes by 2020 and to establish a body to be in charge of providing affordable homes. A “housing x-change” mechanism would also be set up to ensure that affordable homes go only to those who need it to curb property speculation, which includes setting a national ceiling price for affordable homes at between RM250,000 and RM300,000, depending on location. PKR Youth chief Nik Nazmi Nik Ahmad pointed out that foreign labour issues have yet to be resolved despite several legalisation measures simply because Malaysia followed a low-pay economic model. Nik Nazmi, who is Selangor executive councillor for education, human capital, science, technology and innovation, said this model is used by many countries, but the minimum wage here has not been increased. “We’re addicted (to the economic model). 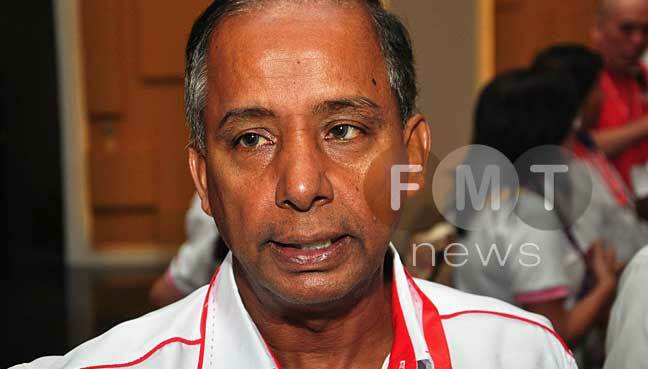 So when the people cannot live with the low pay, we hire foreign workers,” Nik Nazmi said. Using the PKR-led Selangor government as an example, he said PH Youth would focus on providing vocational training as an alternative and would not rely on the low-pay economic model which encouraged hiring foreign labour. – July 25, 2017.